The Buderim Conservation Park is a beautiful piece of rainforest in the heart of the Sunshine Coast. With over 45 hectares of land, this luscious forest is best known for the Buderim Falls, a gorgeous waterfall which is the centrepiece of the beautiful landscape. For those coming to view the forest and rainfall, there is a wheelchair and pram accessible boardwalk which is 500 metres long that has viewing platforms which give access to stunning views. 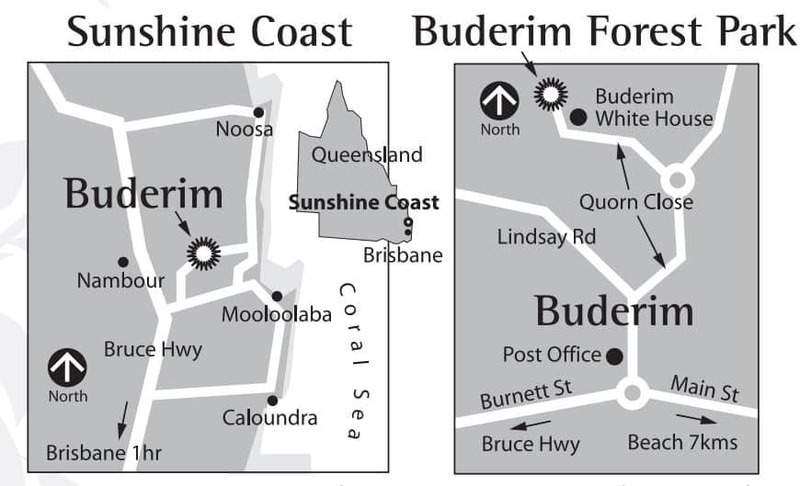 Walking trails have been created from two main entry points: The first is Lindsay Road via Harrys Lane and the second is via Quorn Close, which runs off Lindsay Road at the top of Buderim. The Lindsay Road access point has picnic tables and electric BBQ’s for those who would like to picnic here and there is a short loop road which has boardwalks which will lead to you to the forest. The boardwalks are suitable for prams and wheelchairs. The Quorn Close entry point has a memorial garden as well as picnic tables and BBQ facilities. Walking past, you will find a dirt path which becomes a rather steep walking trail. This track is not suitable for prams or wheelchairs and is considered moderate difficulty. 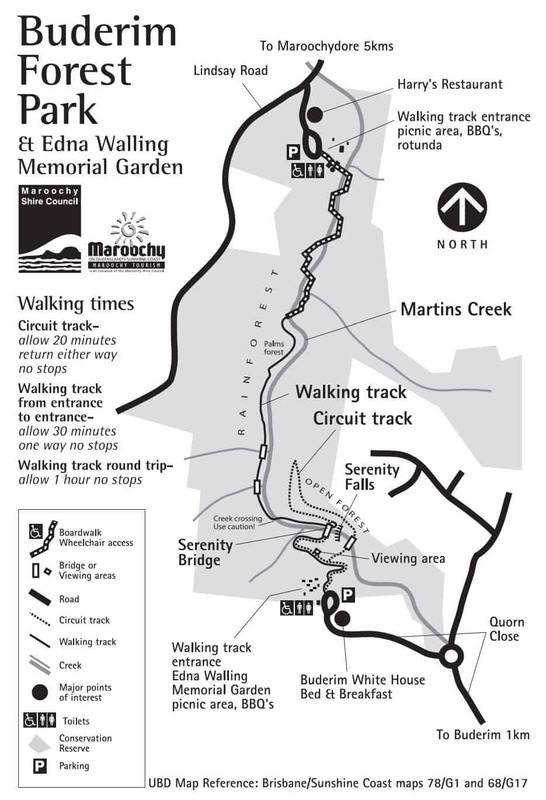 This path will take you to the Buderim Falls which is a gorgeous spot to rest after your walk. The water at the base of the falls is not suitable for swimming. There are parking facilities at both entry points. Please note that as this is a nature reserve, dogs are not permitted within the Buderim Conservation Park. So come and check out the Buderim Conservation Park on your next trip to the Sunshine Coast. If you are looking for accommodation on the Sunshine Coast, click on the link below to find the best deals.